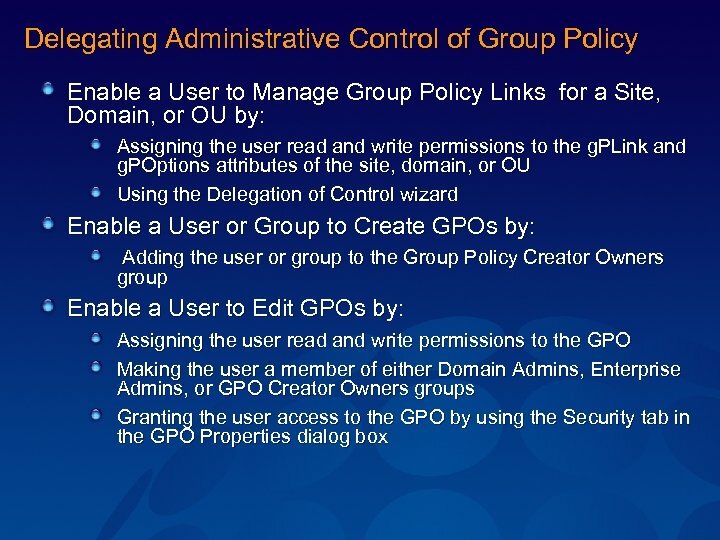 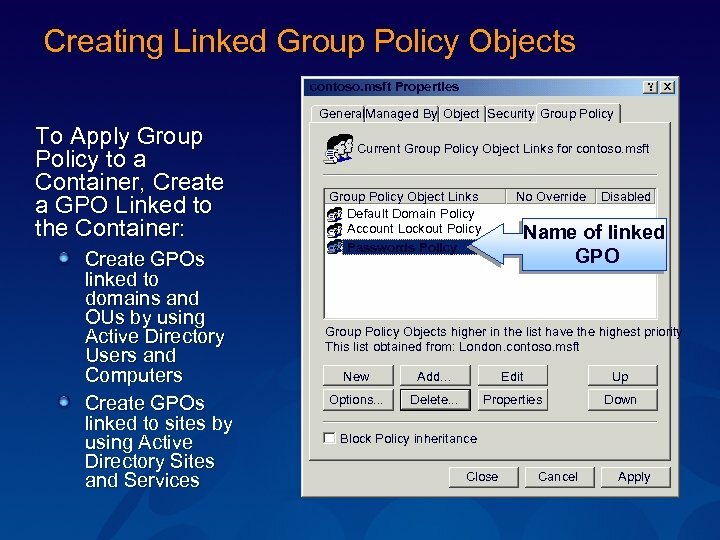 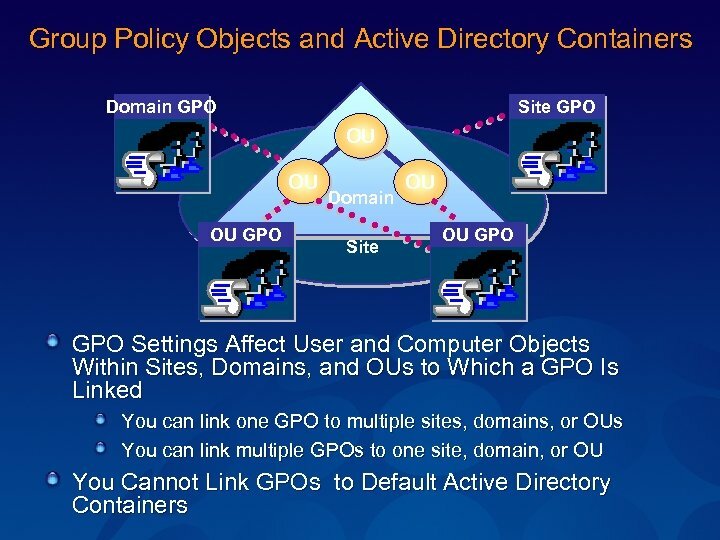 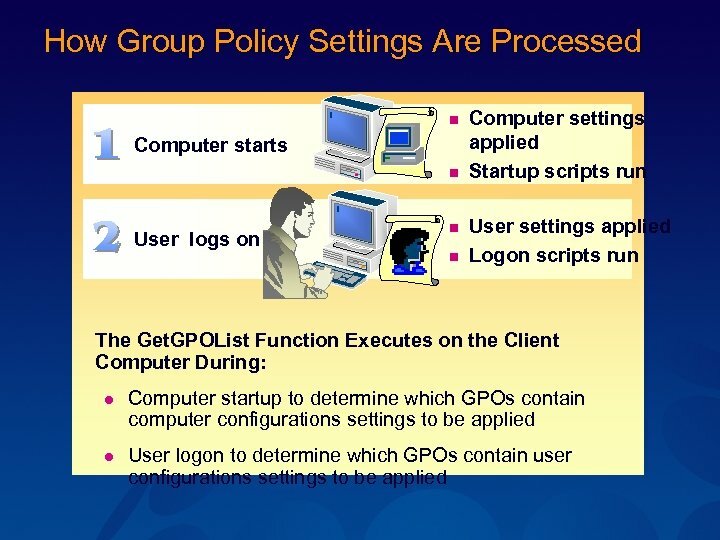 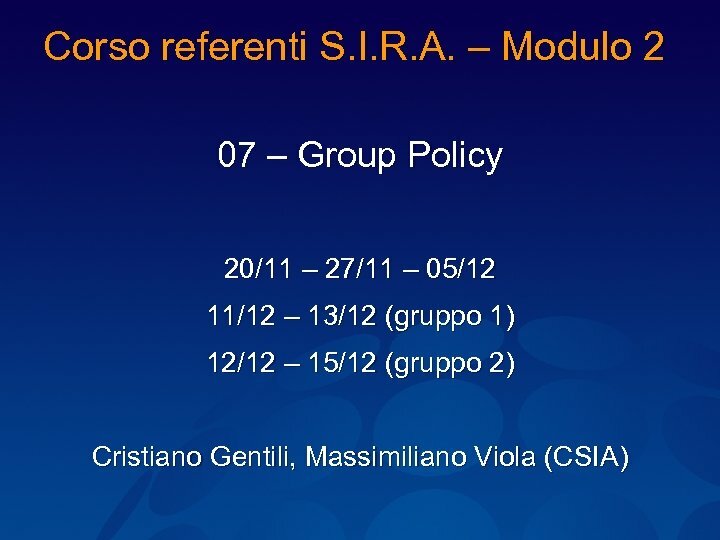 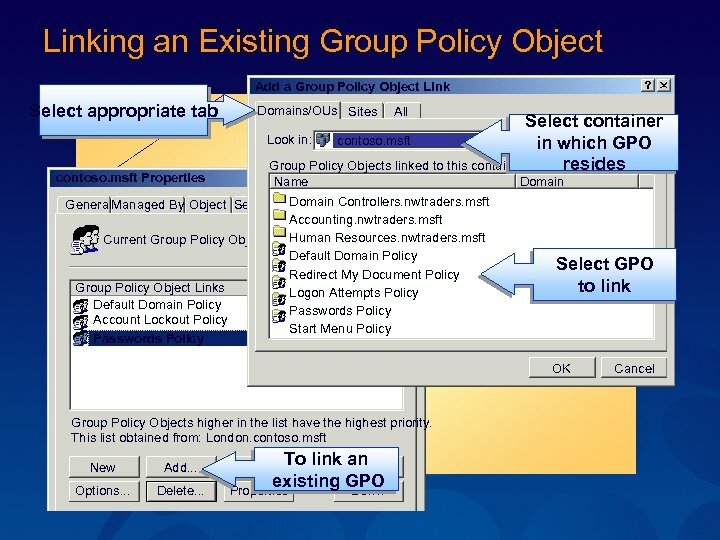 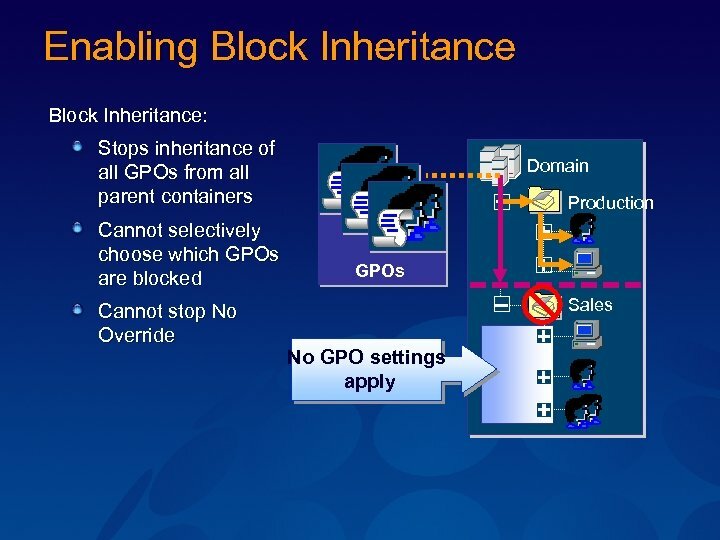 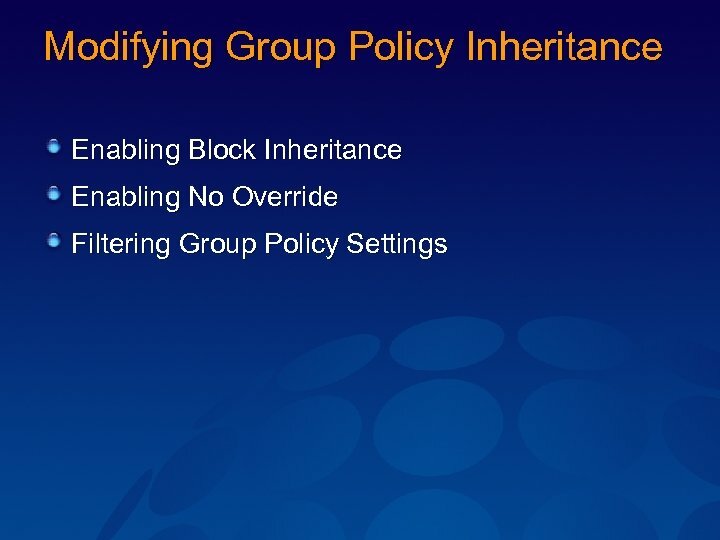 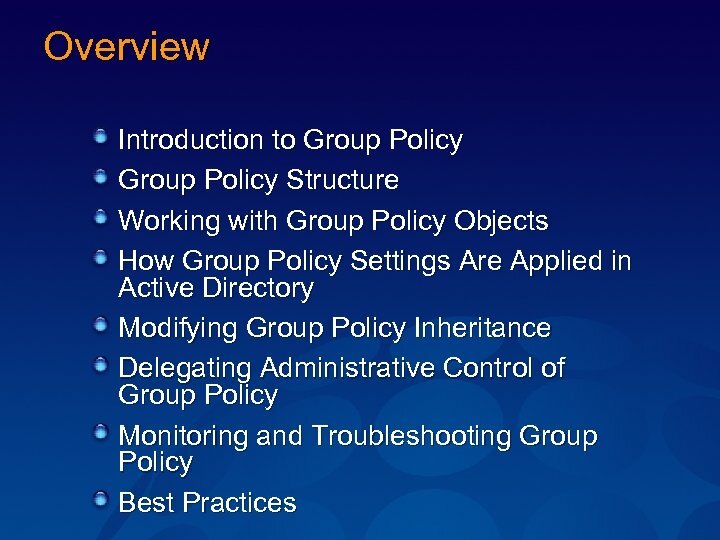 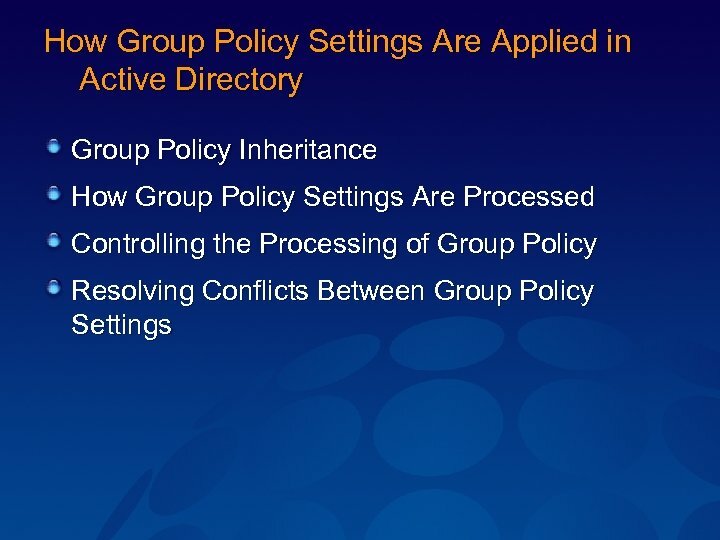 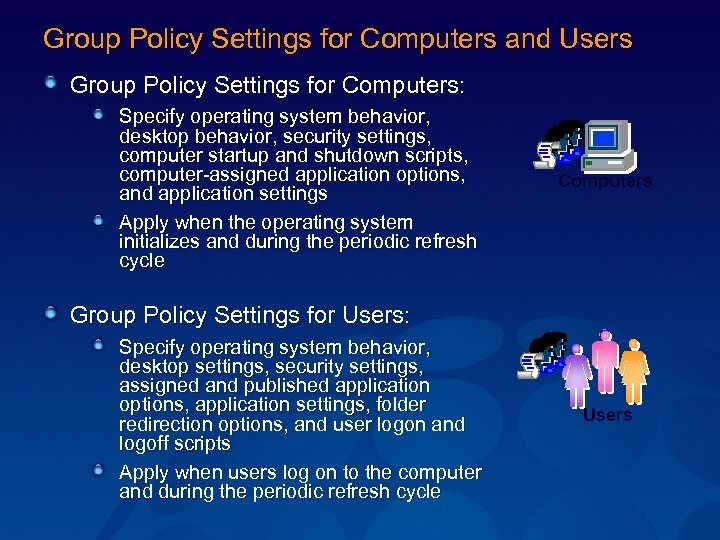 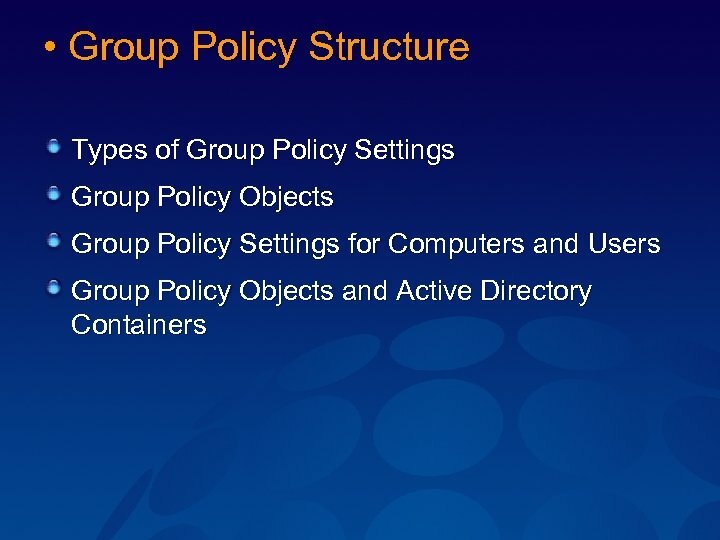 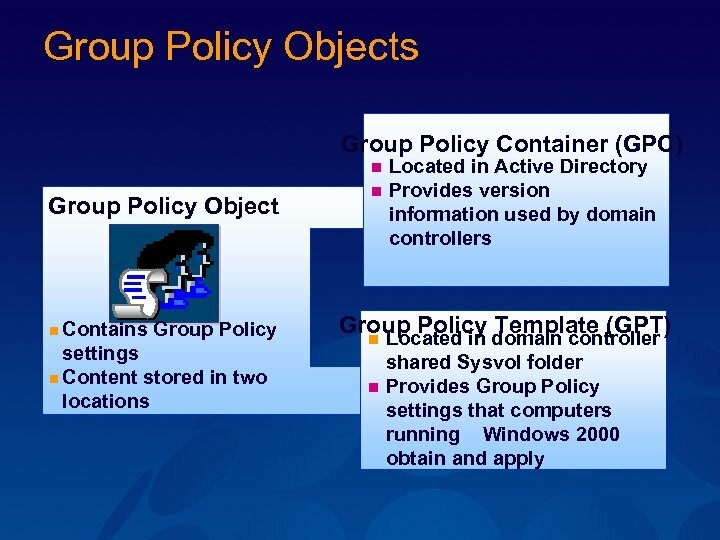 Creating Unlinked Group Policy Objects Browse for a Group Policy Object Domains/OUs Look in: Select Group Policy Object Sites Computers All contoso. 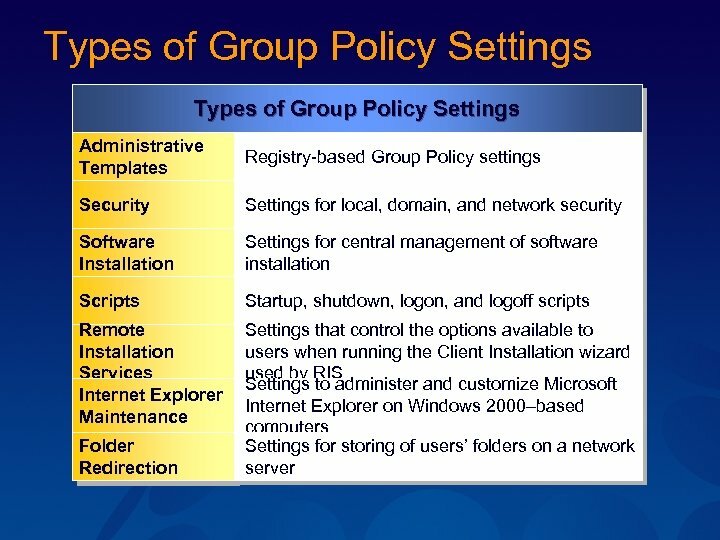 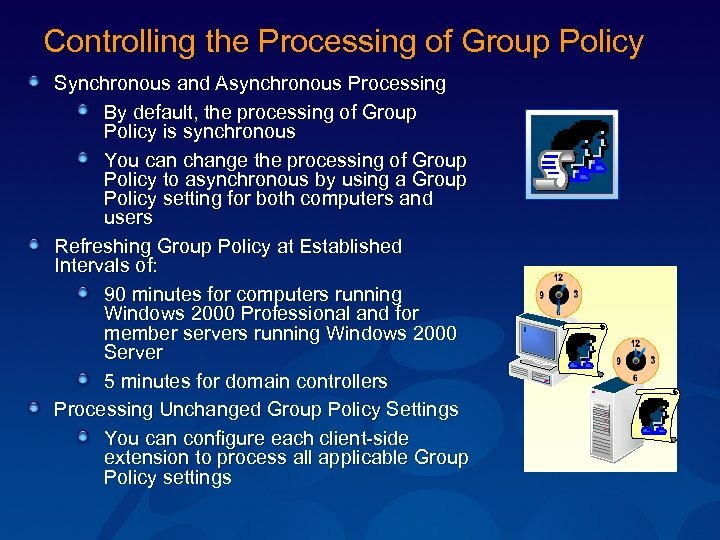 msft All Group Policy Objects stored in this domain: Name Application Deployment Default Domain Controllers Policy Default Domain Policy View New Group Policy Object Arrange Icons New Group Policy Object Line up Icons New Group Policy Object To create an Test New unlinked GPO Refresh Local Computer Browse… Allow the focus of the Group Policy Snap-in to be changed when launching from the command line. 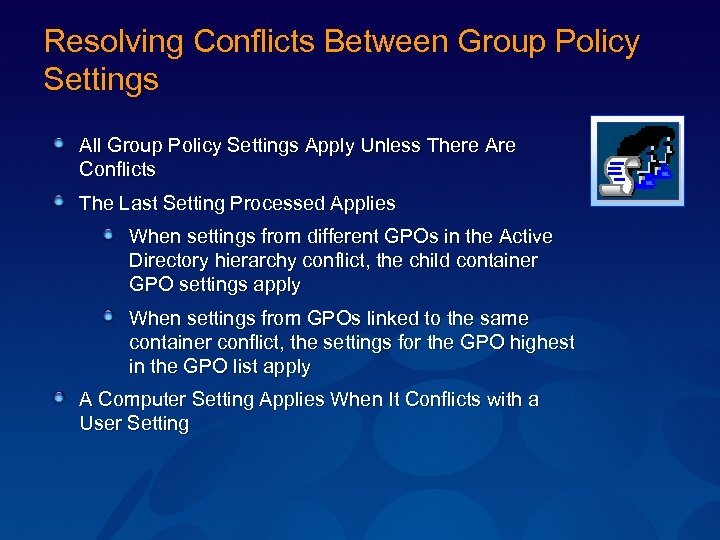 This only applies if you save the console.